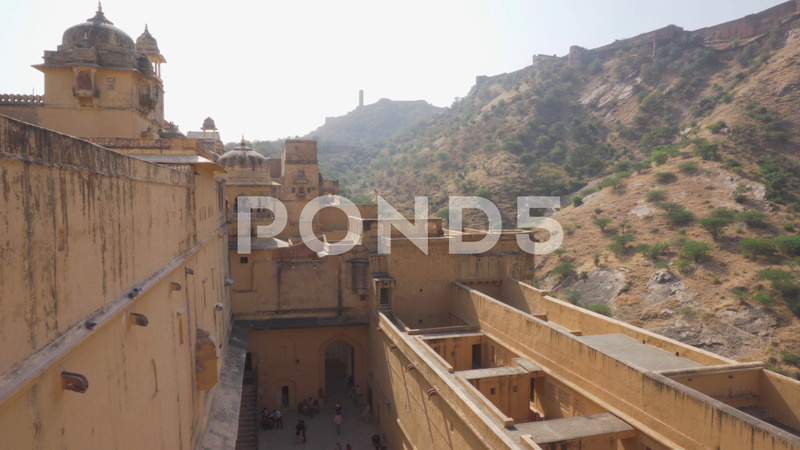 Description: Panning motion from the Amer Fort and Palace (Amber Fort) in Jaipur, Rajasthan, India. The Jaigarh Fort is visible on Aravalli Hill in background. Amazing Rajput military hill architecture.